Being able to wander is a basic need for cats so if you’ve decided to keep your cat inside, try to maximise the space she has to explore. 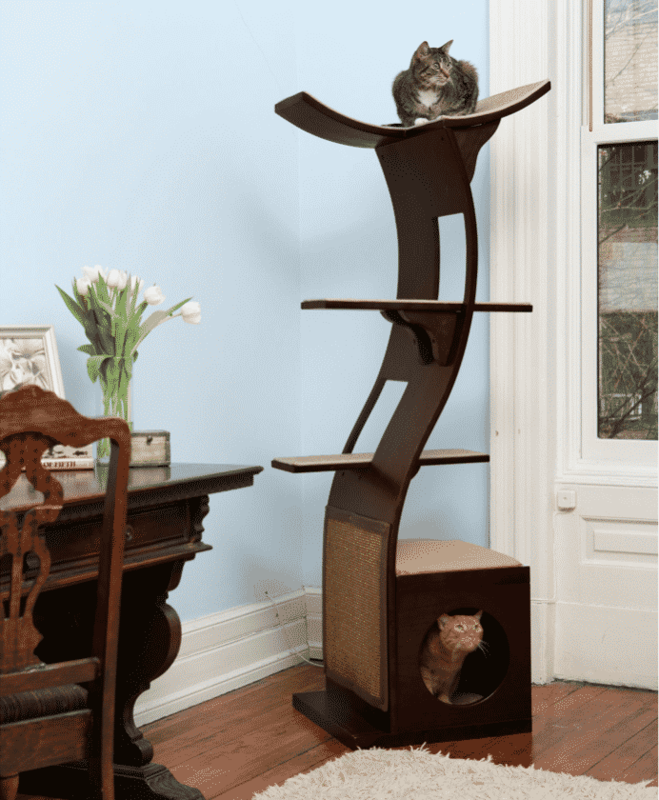 You can make it more interesting by adding interactive cat furniture, such as cat trees and cat towers. Cats love to survey their kingdom from above, so allowing yours access to a windowsill will be appreciated. Clear off surfaces that she can leap up onto so that she can be high up without breaking things and again, tall cat furniture can help. 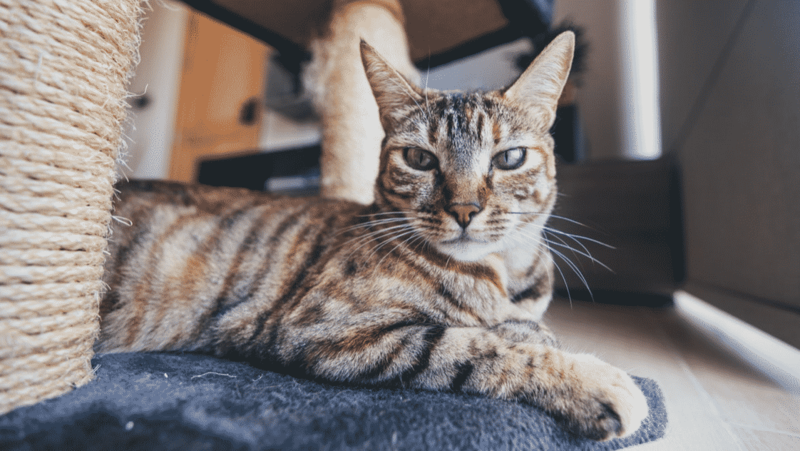 Cats are easily stressed by inadequate facilities; you should have one litter tray per cat plus one spare, and more than enough beds and scratching surfaces for the number of cats in the house. They don’t all like to share! Cats are infamous furniture destroyers but there are ways to divert their scratching needs away from your best armchair. 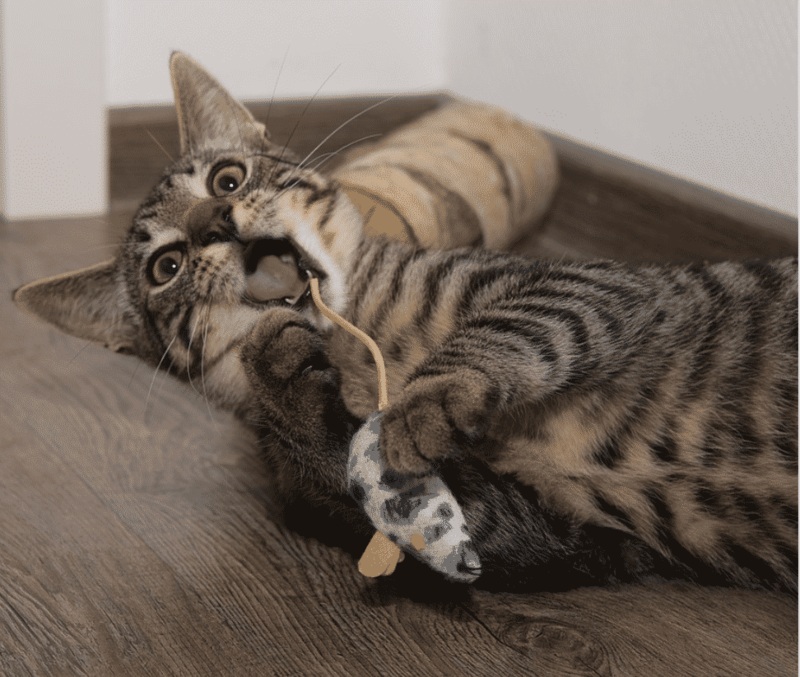 Scratching posts, doormats and even corrugated cardboard are appealing to most, especially if you apply catnip. The more vertical and horizontal surfaces there are for her to scratch, the better your chances are of saving your sofa! 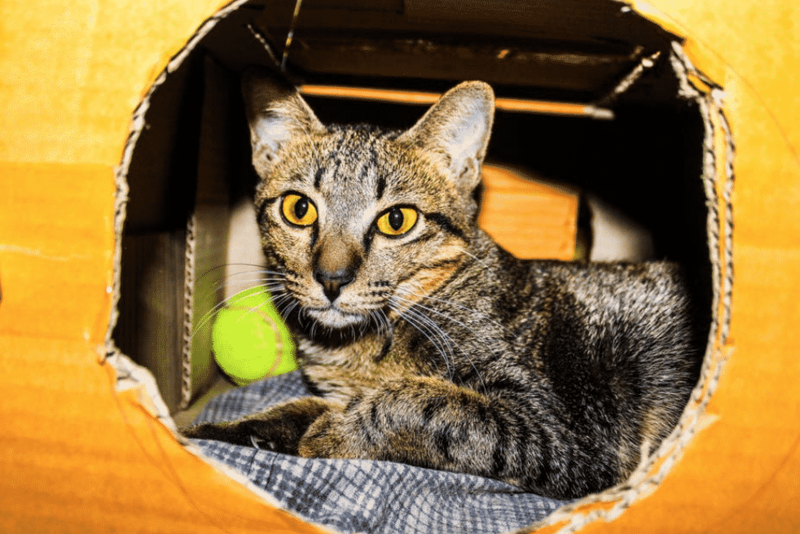 It’s no secret that cats love to hide in packaging – cardboard boxes and paper bags (with no handles), especially with added cat-sized holes, make for hours of fun. 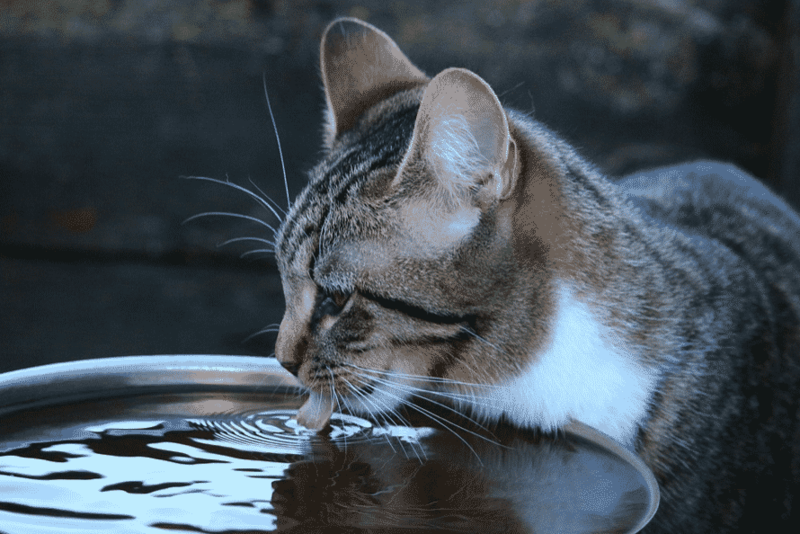 Cats like running water the most (hence their love of taps) but if you haven’t got a cat fountain then the next best thing is a bowlful that resembles a puddle – wide, shallow and filled to the brim. Hide bits of her daily food allowance around the house to encourage her to work for her meals. Use puzzle toys for extra fun but avoid adding too many extra treats to her diet as obesity is always a risk. Hang mobiles, wind catchers and sun catchers up and out of reach so that she can watch them to her heart’s content. Rotate the toys that you leave out for your cat to keep things exciting. A ping pong ball in a dry bath can be chased for hours, and a cork makes an interesting substitute for a toy mouse. The possibilities are endless!